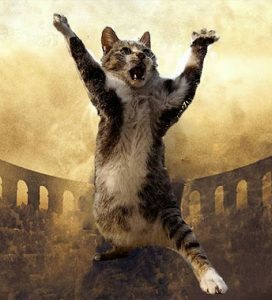 My cats use the bathtub as a gladiator ring…no soak for the weary until fur is removed. Sure, two pieces of toilet paper are sufficient for my needs. Am I the only person qualified in roll replacement? My prize, for wrangling the stray cart in the parking lot rodeo, is a plastic bag of overpriced milk and bread. It’s a hotdog conspiracy designed to keep you buying more buns for the extra hotdogs and more hotdogs for extra buns. The fifth little piggies go wee, wee, wee at the blister-rubbing sock seams. No, I didn’t want to make it to my appointment on time. I’ll catch the next green light after you’ve finished your text. One press of the toaster lever does not toast to the proper brownness. The second press results in blackening by dragon’s breath. I don’t understand you. If I wanted help from a foreigner, I would move to a foreign country.